Demo of how to use Canner(CMS) + Gatsby(Site generator) + Prisma(Database). This demo will guide you to create a bazing-fast blog website, built/deploy with Gastby. You can update your articles and authors on Canner and the data will be stored at Prisma. Let's look at the overview with a simple image below. If you haven't signup on canner.io. Please visit canner to create a account. 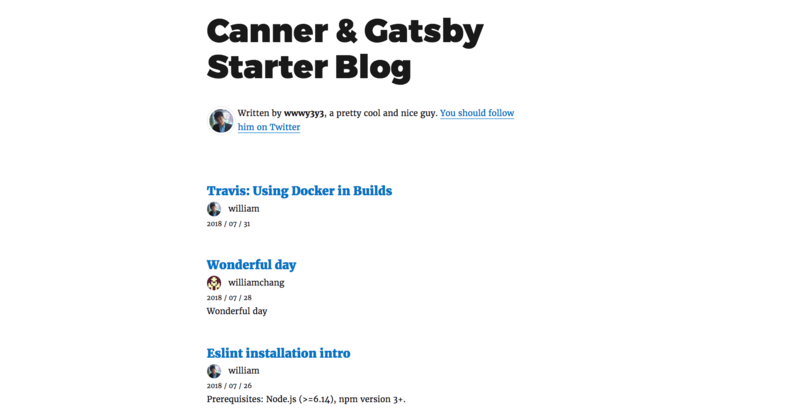 Right now, you should be under canner-demo/gatsby-blog-with-prisma. During prisma init, if you haven't login to prisma before, you'll have to follow directions on terminal to finish singup. When you come back to the process, please choose Demo server for this example. After all the questions, you should expect result like below. After deploying to Prisma, you'll see successful result on terminal like below. Open http://localhost:9090, you'll see the CMS user interface connecting to memory storage. Let's take a look at canner.schema.js with datamodel.graphql side-by-side. We can see that we use an array tag with two string fields (name and email) as children. 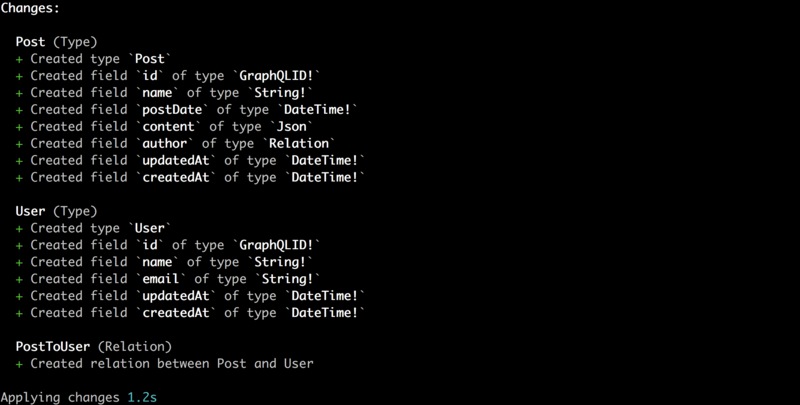 Now, let's see how we constuct schema for Post. 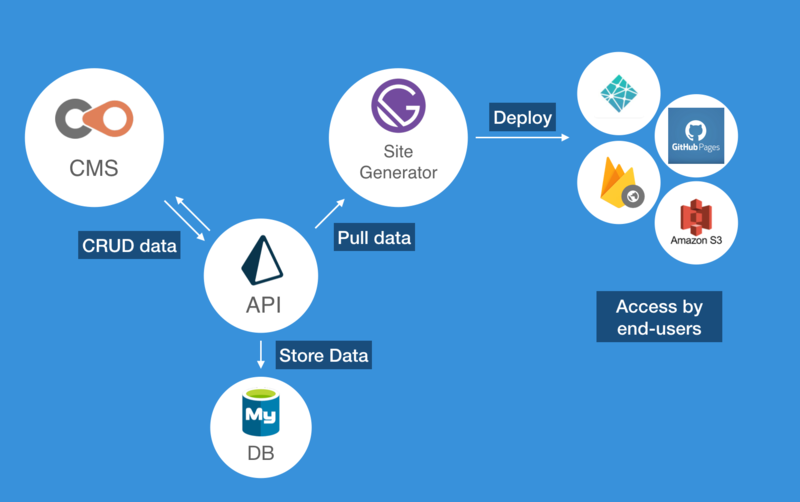 For this Post graphql model, we should construct our schema as following. Let's take a closer look at relation tag. Since we defined a User type at author field in the graphql model as a to-one relationship, we need to define the same relationship in canner.schema.js. Now, please visit your project on canner.io. Then click the Edit content on the sidebar. Try to create a post and a user on this cms, the data will be stored on prisma. First, we need to change the endpoint value in gatsby-node.js on line 13. This value should equal to the endpoint in cert/prisma/prisma.yml. Open http://localhost:8000/ to see your blog website. If you want to deploy this website, please go to Gatsby document.